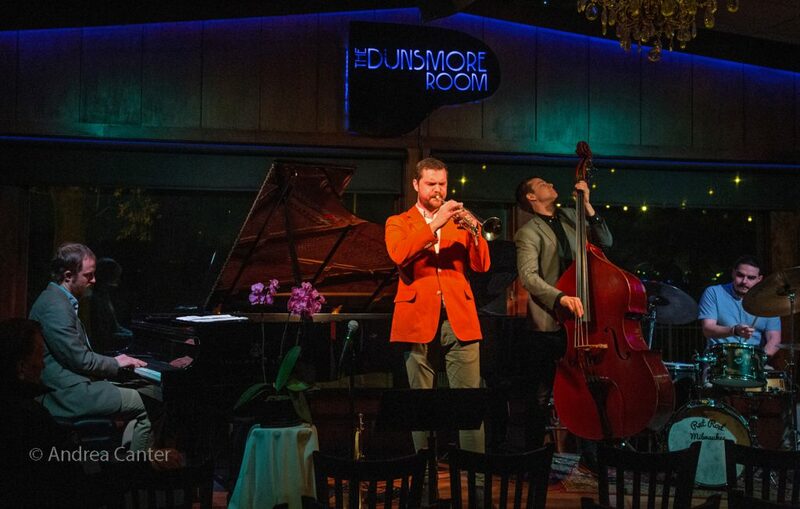 He’s one of the area’s youngest bandleaders, but trumpeter Jake Baldwin approaches the music like a veteran, as do his cohorts in the Jake Baldwin Quinttet–saxophonist Nelson Devereaux, pianist Joe Strachan, bassist Ted Olsen, and drummer Miguel Hurtado. These young lions roar into Jazz Central Friday, February 2, on the Illicit Jazz Workshop schedule at 8 pm. 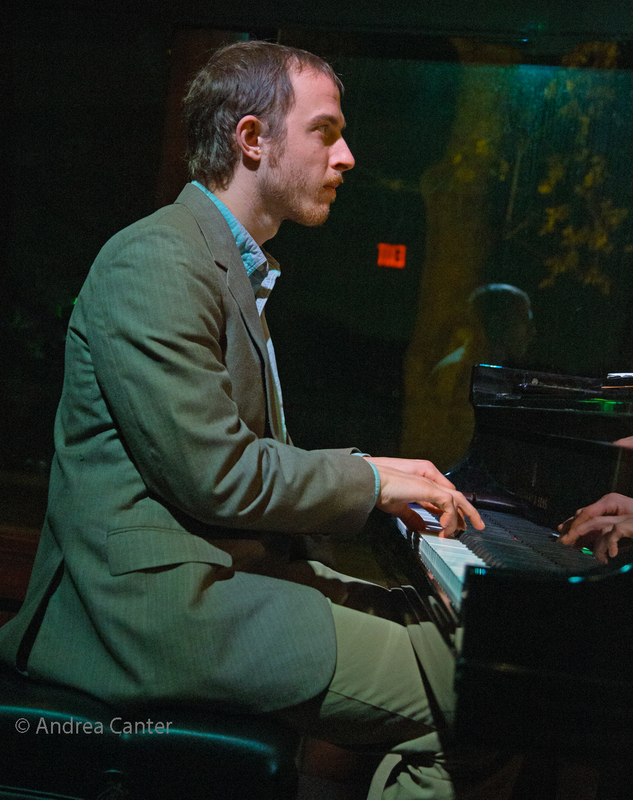 For a guy just a few years out of the New England Conservatory, Jake Baldwin is already a veteran performer around the Twin Cities. He got his start on trumpet in sixth grade, he says, “because it was between that and choir, and if you’ve ever heard me sing, well, be glad I play trumpet.” Hearing Wynton Marsalis and the Jazz at Lincoln Center Orchestra pulled him into jazz, while Charles Mingus and Thelonious Monk are other sources of inspiration. 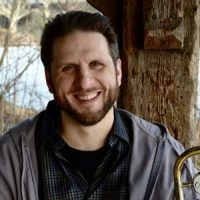 A 2009 graduate of Minnetonka High School and alum of the second and third editions of the Dakota Combo (2007-09), Jake studied with Jerry Bergonzi, Bob Moses, John McNeil, Joe Morris and Fred Hersch at the NEC, and was one of three finalists in the 2011 International Trumpet Guild Solo Competition; a year later he was runner-up in the jazz division of the National Trumpet Competition. 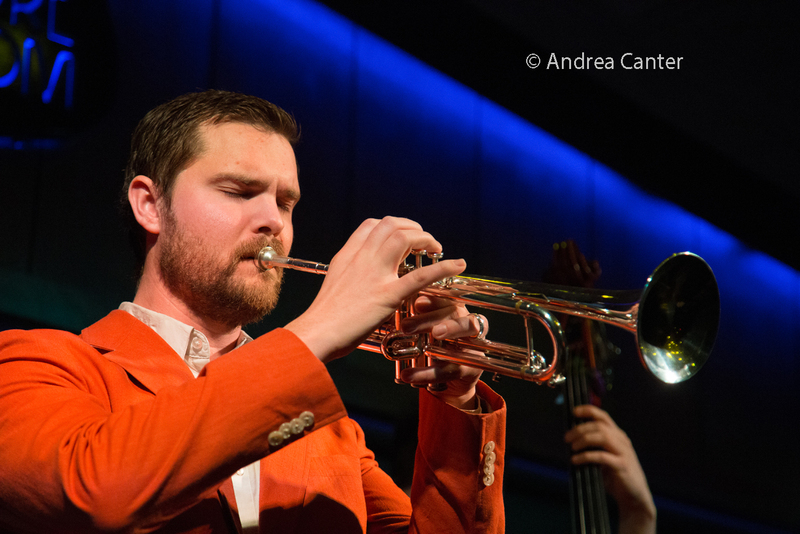 After graduating from NEC in May 2013, Jake moved back to the Twin Cities, initially working for the Harralson Trumpet company while building his creds on the local jazz scene. Those creds have been accumulating, with his own bands at such venues as the Dakota, Artists Quarter, Jazz Central, Black Dog, Nicollet, and Dunsmore Room, and in other bands including the Twin Cities Latin Jazz Orchestra, Chomsky, Thomas Nordlund Group, Endeavors, Cory Healey’s Beautiful Sunshine Band, Chris Bates’ Red 5, Minnesota Hard Bop Collective, McNasty Brass Band, and more, and has toured extensively with Har Mar Superstar. Jake recently released his first album as leader of the band Ra Ra Ru–dubbed Metallic Ink Co–on the Electricity Is Magic label in 2014. 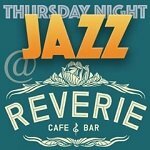 Nelson Devereaux began saxophone studies at age 8, inspired by recordings of Charlie Parker, Sonny Stitt, and the Elllington and Basie Big Bands. Growing up in Milwaukee, he was involved in music programs starting in elementary school and later studied jazz at the Wisconsin Conservatory of Music, adding clarinet and flute to his arsenal. Nelson came to the Twin Cities in 2007 to attend the University of Minnesota, studying here with Dave Milne, Mike Lewis, and Eugene Rousseau, and also with Clay Jenkins and Berkeley Fudge. 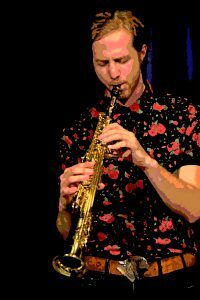 He graduated with degrees in Saxophone Performance and Music Education, and has performed around the metro and beyond with New Sound Underground, Hustle Rose, Tasty Tones, Courageous Endeavors, Adam Meckler Orchestra, Brass Barn Polka Band, Jazzland Wonderband, Chihuahua City, and more. He currently directs 4th-5th grade bands at Waite Park School in Minneapolis and is a woodwind instructor at Twin Town Guitars. Pianist Joe Strachan is a 2013 graduate of the University of Minnesota and former student of Laura Caviani and Bryan Nichols. 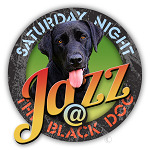 Keeping busy on the local jazz scene, Joe performs with the Adam Meckler Orchestra, Pete Whitman X-Tet, Charanga Tropical, Graydon Peterson Quartet, Twin Cities Latin Jazz Orchestra, Jake Baldwin Quartet, and Chris Bates Dimensions and Inventions Trio. He also provides piano accompaniment for the U of M School of Dance, community theater productions, a 16-piece live hip-hop band, and theater installations. Ted Olsen studied bass with Travis Schilling and Adam Linz, graduating from St. Paul’s Como Park High School in 2010. He went on to study composition at Luther College in Decorah, IA, finishing college studies at the University of Northern Colorado in spring 2015. 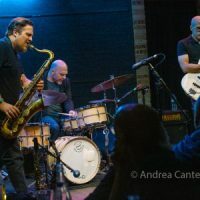 In the Twin Cities, Ted has taught at the Twin Cities Jazz Workshop and has performed as leader and sideman at various venues including the Artists Quarter, Jazz Central, Black Dog, Twin Cities Jazz Festival, and more, often in the company of Javi Santiago and Miguel Hurtado. He has also branched out into working with artists from the folk, rock, R&B, and contemporary classical scenes. 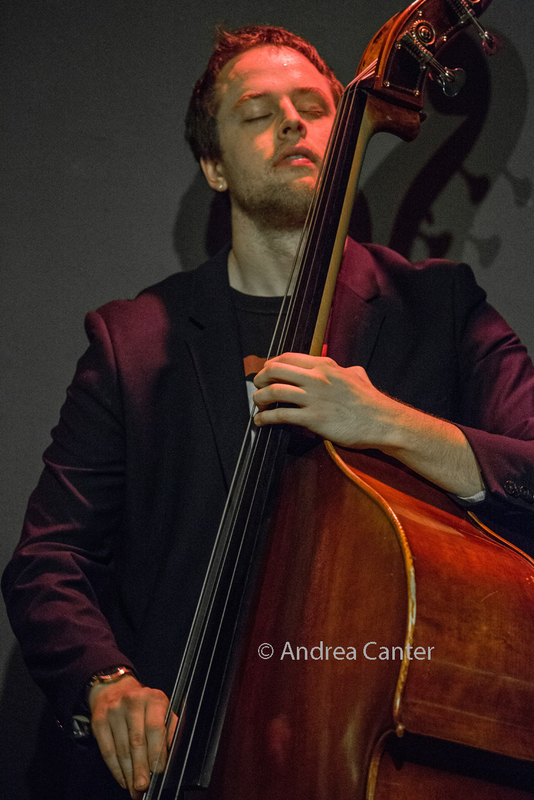 Ted won the 2012 Eric Stokes Song Contest held by the American Composers’ Forum; in 2015 he was a finalist in the ASCAP Herb Alpert Young Jazz Composers’ competition. 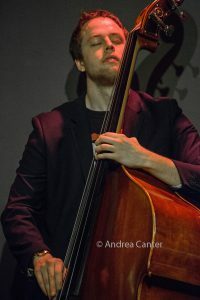 With his current quartet (Aaron Hedenstrom, Javier Santiago, Miguel Hurtado), he released his debut recording, Joy Fire, in 2017. 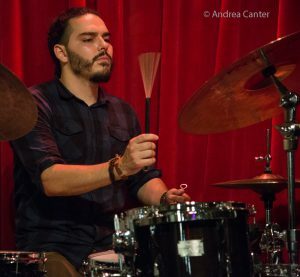 Miguel Hurtado (drums) played throughout the Twin Cities as a teenager in several youth bands, as well as with South High jazz ensembles. 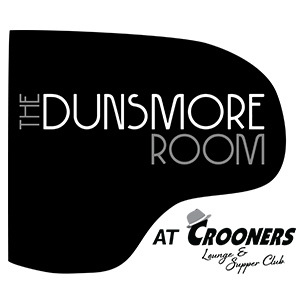 After graduating from the Manhattan School of Music in 2010, he returned to the Twin Cities where he quickly became a busy member of the local jazz scene. 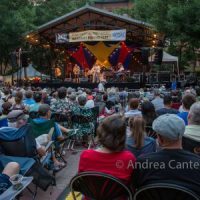 He’s led his own ensembles at the Twin Cities Jazz Festival and performed at the Artists Quarter, Dakota, Jazz Central, Icehouse, Black Dog and more. In addition to leading his own bands, he has performed with Jake Baldwin, John Raymond, Jeremy Walker, Javi Santiago, Joe Strachan, Ted Olsen, Courageous Endeavors, and Steve Kenny. He’s also expanding his musical resumé, playing with some local pop and R&B singers, particularly Alicia Steele and vocalist/rapper Toussaint Morrison. The Jake Baldwin Quintet— think of these guys as The Young and the Restless of jazz! They’re ready to rumble at Jazz Central.